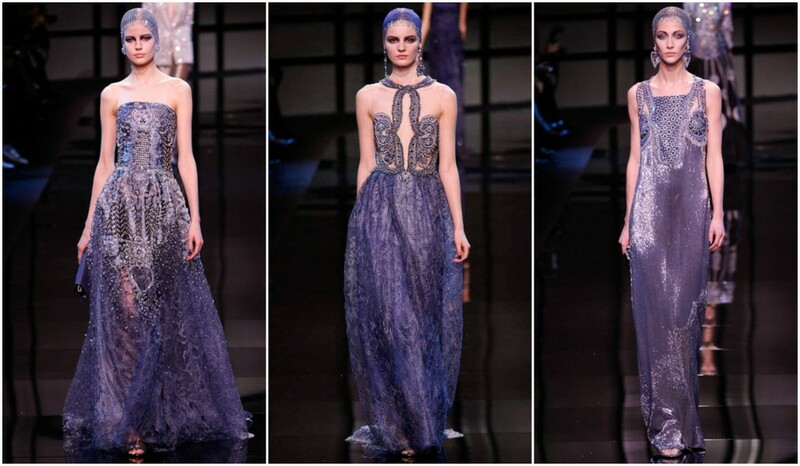 His Spring-Summer 2014 Haute Couture runway show tonight, titled ‘Nomade’ was skillfully centered around North African navy blue. 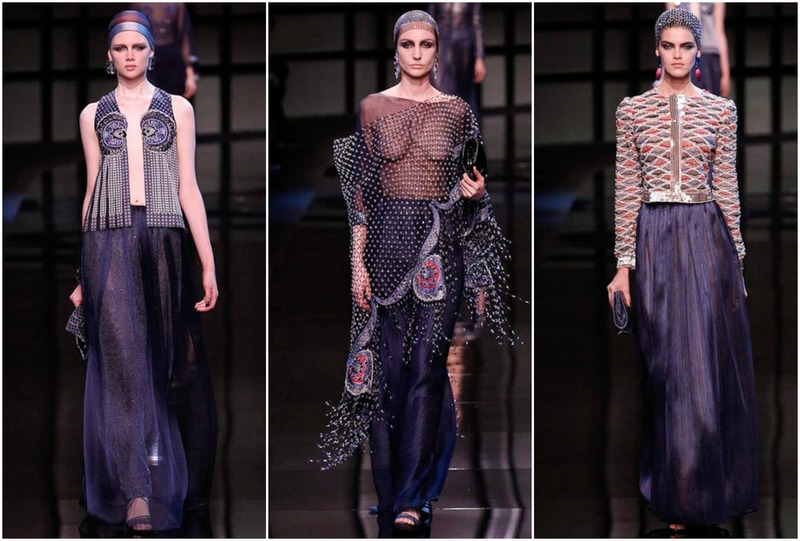 Casual beginning with silk tops, low heel shoes, plissé pants and skirts, was followed by a new dimension of full skirts and glamorous pants suites, accessorized with heads wraps and dangly earrings, taking on unexpected gypsy-feel direction…. 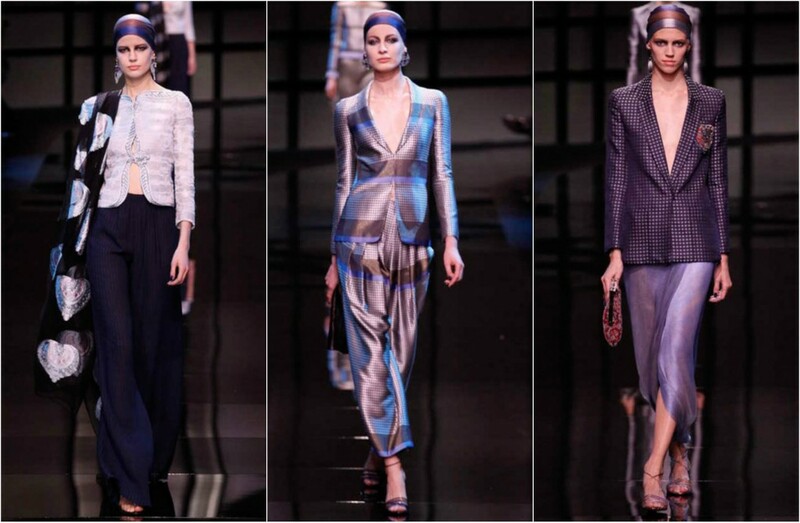 It was the fashion icon Loulou de la Falaise and muse of Yves Saint Laurent that inspired Armani’s Spring Summer 2014 Haute Couture collection…. 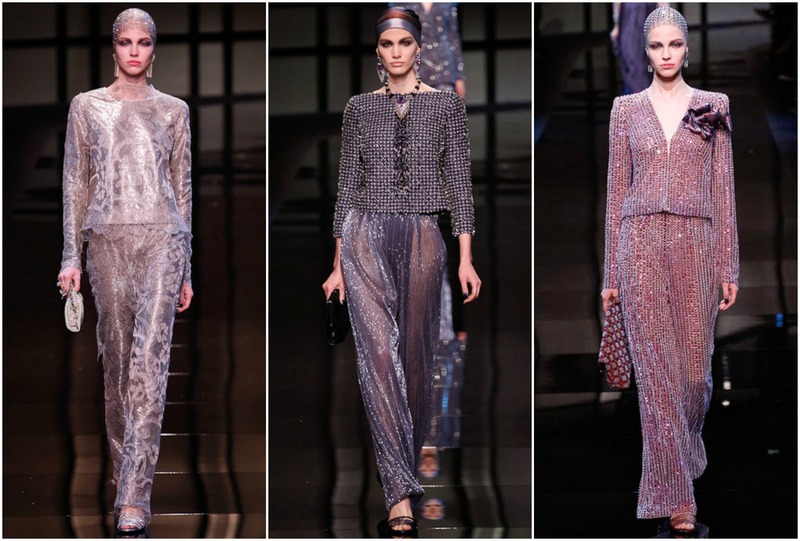 Bravo Maestro Giorgio for the exciting grand premiere of this sophisticated, mysterious and ‘Armani-stunning collection!